You heard right. All that productivity I’ve been yammering about is finally starting to bear fruit. My editor is due to have my first crime novella back to me tomorrow, so I’ll be publishing it on December 15, 2015, just in time to stuff your virtual stocking. You can get it on preorder right now from Amazon, Kobo, Apple and Smashwords (sorry Nook readers, B&N’s system won’t allow preorders). Sounds awesome, right? You know it does. I had a great time writing this one and I think it turned out nicely. I plan on doing a whole series of these books, taking Tom all over the place as he hunts down the hunters, bringing those motherfuckers to justice. In other news, I’m currently about 1/3 of the way through revisions on Badlands #3 and I’m just about finished with the first draft of a new monster novel called It Came From the Mountain. My homage to Mothman, if you will. Look for both of those books early next year. And if you missed it, check out my Halloween-themed short story Cycle. You can pick that up for less than a buck. My kids loved it, so if you’re looking for third-party validation, there you go. Stay up to date on all things me by signing up for the newsletter. And if you really want to make my day, buy some more of my crap here. So you might be wondering, Where’s the next Badlands book? You’re working on this sci-fi thriller while we’re stuck waiting and wondering what’s going to happen with Dave and Johnny. Come on, already! Never fear, the update is here. 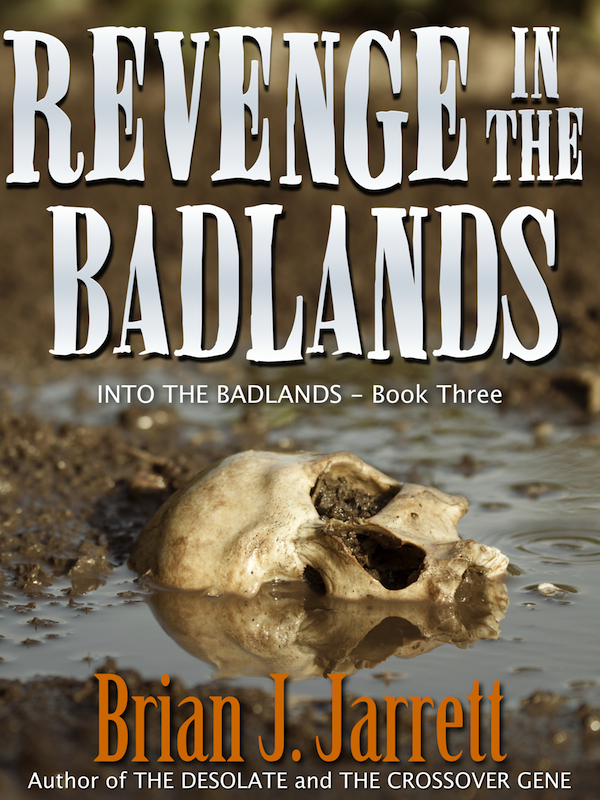 Badlands #3 — titled Revenge In the Badlands — sits at roughly 30k words right now. That’s about 1/3 of the way there. Why the wait? Well, the short answer is that I just needed some time away from the Badlands universe. I get burned out working on the same project without some kind of a break in between. My enthusiasm wanes. When that happens the story suffers. It’ll also end up taking forever to write, because I just don’t want to sit down and work on it. I got stuck around the 30k mark because the story just wasn’t revealing itself to me. I don’t believe in writer’s block, but I do agree that you have to be in the right frame of mind when you work on a book. 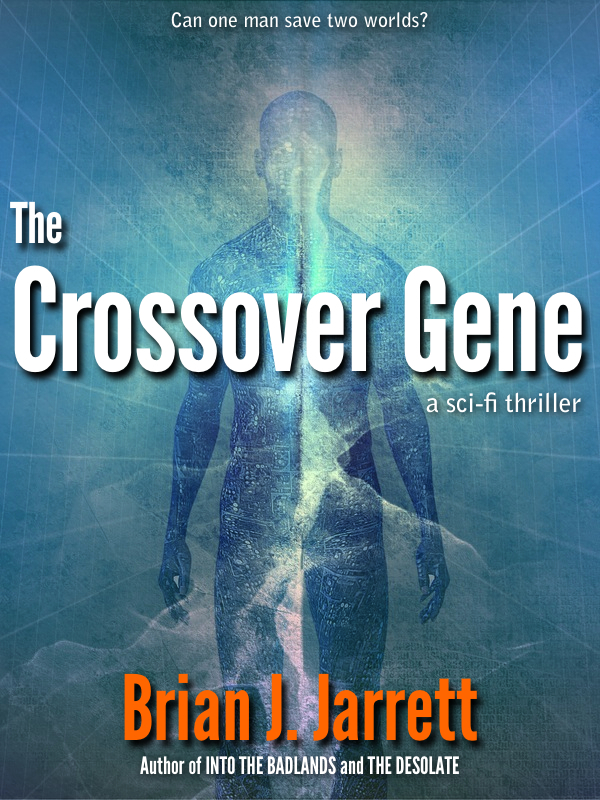 Rather than spin my wheels on a book I wasn’t ready to write, I decided to finish The Crossover Gene instead. That allowed me to at least continue working and creating new words, while I waited for Badlands #3 to finish taking shape. The good news is that I’m in the final stages of The Crossover Gene and after taking a few months off from Badlands #3, the gates have finally opened. The story I really wanted to tell in Revenge In the Badlands has finally revealed itself to me. I can’t say exactly how that “eureka” moment happens, but I know it just feels right. Like I can just tell that all the planets have aligned and things are where they’re supposed to be. That this book is actually worth writing and that I truly have something to say. That gets me excited about writing. Sorry for the delay, but the process is what it is. Sometimes it takes a while to play out. I’m still shooting for a Badlands release before Christmas, if possible. I won’t rush it and sacrifice quality just to make a date, but I will try to hit that date. In the meantime, if you find yourself in the market for a different type of read, you might like The Crossover Gene. I’m really psyched about it. It’s like nothing I’ve ever written before. That said, it’s still a fast-paced thriller, but with a fantastical sci-fi backdrop. Hopefully that’ll see publication by the end of summer. Stay tuned for more updates. Until then, take care. Somehow, we’re already halfway through April. Not quite sure how that crept up on me. That said, I figured it was a good time to provide an update. Besides, some of my friends probably think I’m dead since I haven’t shown my face in public in months (or maybe years). I hit 2014 hard, writing nearly 30k words in January. I know that’s not a lot for some folks, but it is for me. Then February came and work got busy with a trip to San Francisco and some deadlines. By the time April rolled around, I was burnt. I suppose it’s inevitable, since I’ve been running hot since the end of 2010. I’ve written three novels, a novella and a bunch of short stories. I also have two partially-finished novels in the wings. I’ve done a lot of re-writing as I’ve learned how to be a better writer. Thousands of hours. All that with a full-time programming job, a wife and two kids. I think the hours just got to me. But seriously, I think I just needed a break. So after pushing through March with revisions to my sci-fi novel, I took the first week of April off. I think it did me some good, because I’m feeling anxious to get back to work. 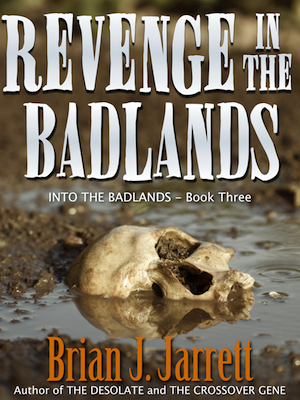 Plus, I buckled down and finished the outline for Badlands #3 and #4, along with my sci-fi thriller. I’m going to take a month and finish that sci-fi book’s first draft. Then I’ll tuck it away and finish the first draft of Badlands #3. If all goes well, Badlands #3 will be out by the fall. I might even have that sci-fi book out this year too. After that, I’ll hop on Badlands #4 and finish up the series. Going forward, I’m looking at my writing schedule to see where I can build in some time off. I might take off one weekend a month. Sure, it’ll slow me down a bit, but if I burn myself out I’m stopping production altogether. I think that’s worse.